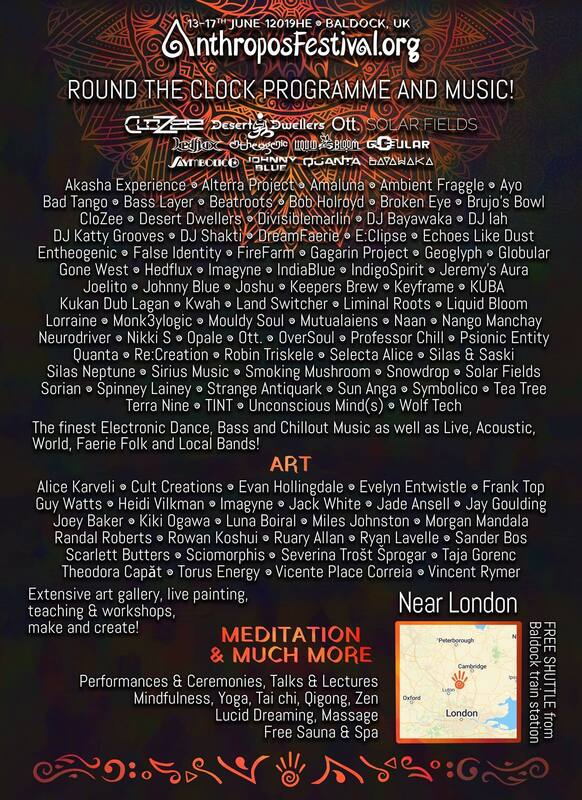 Join Liquid Bloom, Clozee, Ott, Desert Dwellers, and many more at Anthropos Festival this June! Stunning visual art, diverse electronic beats and live acts, workshops, human connection, and ceremony await! Together we celebrate humanity throughout time: past, present and future as we delve into creating beauty through the arts and music.